Wow! 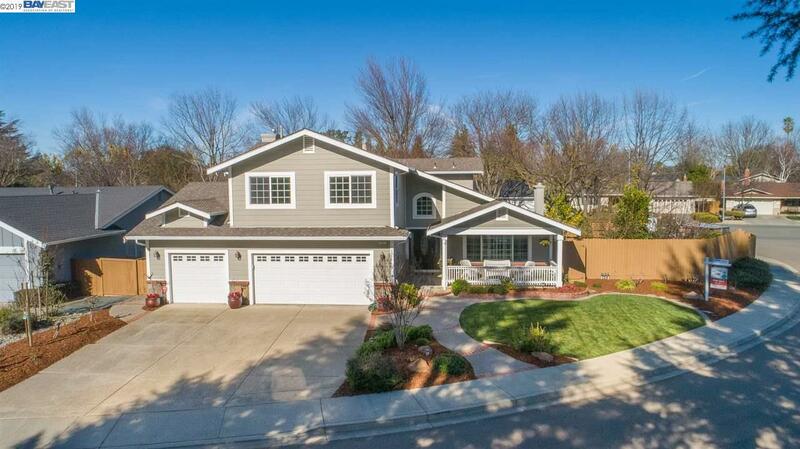 This stunning home has been completely remodeled and an additional 770 sq ft added in 2004! Fabulous curb appeal greets you as you drive up to this charming home with cozy front porch. Very spacious floor plan. Gourmet kitchen features beautiful Cherry wood cabinetry, granite slab counter tops with tile and Mosiac back splash and stainless steel appliances. Master bedroom suite with balcony to enjoy views of park, hills and sunsets. All secondary bedrooms have been enlarged. Downstairs includes a beautiful bedroom and full bath. Desirable corner lot with gated side yard access, many delicious fruit trees, chicken coup, vegetable beds and shed. Private backyard, great for entertaining with no rear neighbors. Walking distance to all 3 levels of schools, downtown shops, restaurants, park, Pleasanton Valley swim club and Pleasanton Centennial walking trail.